How to Clean your Bathroom in a Flash! Guests coming over and you need to get the bathroom cleaned quickly? Here are a few ideas. One of the biggest time wasters is having to search for items as you need them. Save yourself the trouble by collecting all of your bathroom cleaning supplies and tools before you get started. 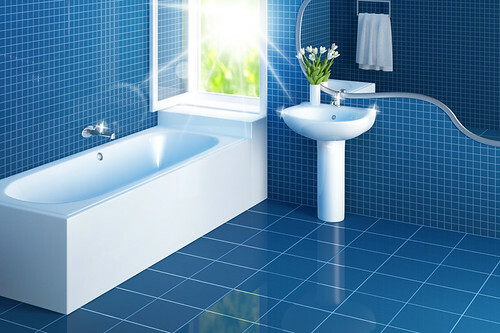 Last but not least – the quickest way to get your bathroom clean is to hire a professional Atlanta maid service. 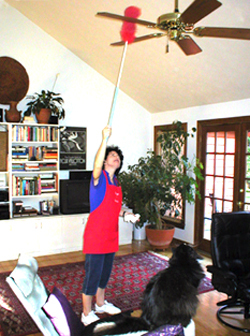 A professional service has the expertise, tools and equipment to get all of the nooks, crevices and crannies cleaned. Having a service come in two or three times a month keeps the mess at bay. Here are some reviews from our long-term customers. Photo credit: Phillip Wilson via a Creative Commons License. 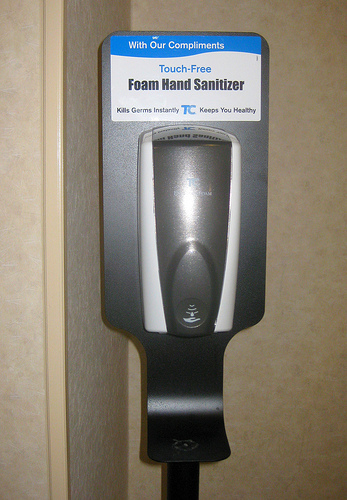 If you are using anti-bacterial soap, there is a good chance it contains triclosan, an antibacterial agent. I recently read an article about the effects of triclosan which gave me pause. It turns out that this chemical, which is included in many consumer products, has side effects worth exploring. So what should you know about triclosan? Triclosan is not just found in soap. It is an ingredient in many other consumer products, including: toothpaste, face wash, deodorant, mattresses, toothbrushes and even shoe insoles. Did you know triclosan was registered as a pesticide with the Environmental Protection Agency in 1969? Triclosan has been linked to what scientists call “really dramatic” effects on cardiac function in mice – heart muscle function was reduced by 25% and grip strength was reduced by 18%. Some scientists are concerned triclosan could affect the risk of infertility, early puberty and other hormone-related problems in humans. Due to increased public pressure, the FDA is studying the effects on triclosan to determine whether or not it should be used in consumer products. The chemical gets in our water supply and flows in to our lakes and rivers. This is unfortunate since studies provide that Triclosan harms fish and other aquatic life. The American Medical Association has found that Triclosan could lead to antibiotic resistant bacteria. So instead of killing germs, prolonged use over time might lead to stronger, more resistant ones. Fortunately, you can check your product labels to see if triclosan is listed as an ingredient. Photo Credit: futureatlas.com on flickr.